If you like The Moth, you'll love our pie! We’ve had an incredible start to our 4th year of storytelling. Premiering at a new hidden treasure of a venue in Sleepy Hollow in September. Two amazing shows in October: our 4th Annual Halloween show at the Sleepy Hollow Cemetery, and our first smash hit collaboration with Historic Hudson Valley – Story Jam at Sunnyside. Plus the Moth’s first show ever at the Tarrytown Music Hall. 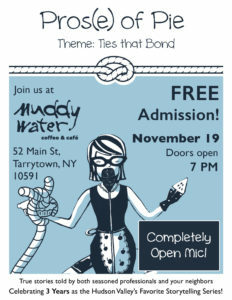 To thank you all for the support, we’re bringing you another FREE, all open-mic show at Muddy Water Coffeehouse in Tarrytown. About the theme: This month we’re sharing stories about connections. Work, family, geography, cause – all things we can feel tied to. A kindergarten friendship that’s lasted a lifetime. Love at first sight. That town ‘ visited on a whim but felt at home right away. The job you’re stuck with. That uncle you wish you could avoid at family gatherings. Did you go through a rough patch before coming together again? Some ties strengthen and unite. Others weigh us down like iron shackles. We want to hear the good, the bad and the ugly about the ties that bond. STORYTELLERS: This is your chance to test-run the story you’ve been itching to get out. Anyone interested gets to tell their 5 minute story on Saturday, November 19. Just make sure you’re signed up by 7:30p! PIES: NO PIE BAKE-OFF THIS MONTH. 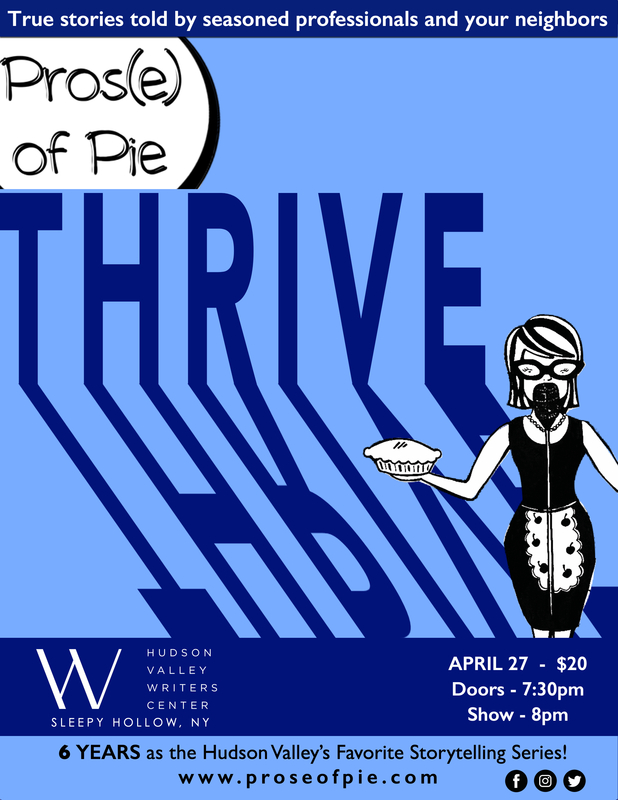 THE PIE COMPETITION RETURNS AT THE NEXT SHOW! We all have a story in us. Come share, listen, and eat!